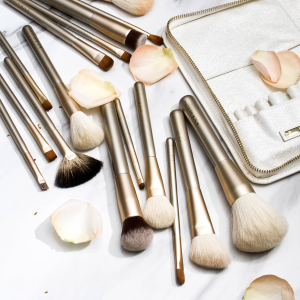 Eve by Eve's offers $15.99 and up on all makeup brushes, no code needed. Get additional 12% off with any 3 or more purchase via coupon code DMBRUSH . Plus, Jetsetter Travel Brush Set $99($225 value) via coupon code DMBRU99 . Free shipping via coupon code DMSHIP . Founded in Beverly Hills, Eve by Eve's is a high-end fashion brand who fabricate every detail of luxury lifestyle into its products, ranging from haute couture to comfortable loungewear. The beauty line consists of high quality anti-aging essence to professional cosmetics. The team spend 2 years, traveled around the world to find the finest ingredients and the most suitable location in order to bring the customers a natural, organic, and the most economical luxury beauty line. Eve by Eve's opened its first flagship store in Beverly Hills in 2014.